AIG, the New York-based and NYSE-listed insurance company, said on Wednesday that it plans to establish an operational base in Luxembourg, in order to ensure continued easy access to the EU market once the UK leaves the bloc. The announcement was seen by some observers as potentially signalling, as London’s Financial Times put it in an article today, “a shift in attitudes in the insurance world”, since many had assumed that Dublin, which already has a thriving reinsurance industry, would be the beneficiary of the Brexit fall-out. In a statement, AIG said that from 2019, AIG proposed “to have two AIG subsidiary insurance companies in Europe – one in the UK, to write UK business, and one in Luxembourg, to write EEA and Swiss business”. 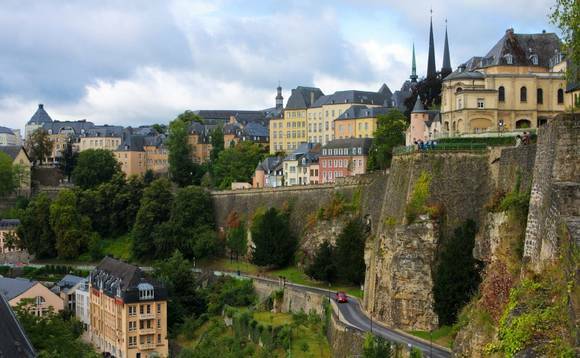 The Luxembourg operation would, it added, have branches across the EEA and Switzerland. AIG currently writes business in Europe from a single insurance company based in the UK, AIG Europe Ltd, Limited, which has branches across the EEA and Switzerland. The UK is currently AIG’s largest single operation in Europe. AIG said it would continue to support its European operations from the UK, which it called “a core market” in which it was planning to “continue to invest and grow”. AIG Europe chief executive Anthony Baldwin called the planned new office structure “a decisive move that ensures AIG is positioned for whatever form the UK’s exit from the EU ultimately takes”. He added: “AIG sees opportunity in the ongoing resilience of the UK insurance market. At the same time, we are ensuring that our clients and partners experience no disruption from the UK’s EU exit. The proposed restructure is expected to complete in the first quarter of 2019, subject to regulatory approval. services to customers in more than 80 countries and jurisdictions. Last year, it made headlines, in the business press at least, when it introduced “Brexit insurance” to its insurance coverage for company directors. This add-on to AIG’s Directors’ & Officers policies, AIG said, was designed to cover certain costs that the insured employees’ companies would not normally take care of, such as funding a legal challenge, in the event that the employee’s permanent residency application is rejected pre-Brexit, or any subsequent challenges to repatriation orders post-Brexit, according to AIG.